The Golden Globes marked the beginning of awards season. Yes that's right. A time when the little people like me get to gawk at all of the celebrities in their finest. Not a hair out of place and always camera ready, these thespians work the runway in the finest of finery. Gone are their days of rehearsing on stage in drama club clad in the ubiquitous all black ensembles. They have traded social awkwardness with worldwide fame and this event marks one of the most exposed events of their lives. It all begins with a stylist who can cost anywhere between $1000-$10,000 for their services and designer connections. They create the entire look, sometimes head to toe, for the client. $10,000 is the average price of a gown for the evening. This is oftentimes gifted from the designer or paid for by the celebrity or perhaps even their studio. It is also possible to rent a dress for the evening. But... how gauche! Charlize Theron once wore a $30,000 Christian Dior gown to the Golden Globes last year and I don't believe it was a rental. Laura Harring's 2002 Oscar shoes by Stewart Weitzman cost a whopping $1 million dollars boasting 464 diamonds. She was accompanied by bodyguards to walk the red carpet. Red carpet shoes by renowned designer Christian Louboutin can cost up to $3,000 a pair. Nexxus creative director and choice of the stars Kevin Mancuso has said that hair make-up preparation for the awards can take anywhere from a staggering 2-5 hours. 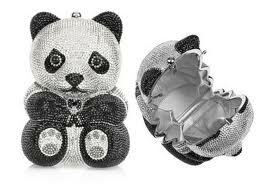 Needing a bejeweled Panda? Judith Leiber has you covered. Judith Leiber luxury bags are a staple on the runway and can cost $5,000 per bejeweled clutch. The brand often lends these out but some very choice A-listers have been gifted one of the signature clutches. And the jewels. They are so precious that most of them are just gifts. Sorry folks diamonds are only a girls temporary best friend. Even Cinderella's duds were borrowed from magic. The jewelry designers tend to lend celebrities these baubles out specifically for the big day only. They are delivered by armed guards, worn for the photo ops and the red carpet then returned soon after. You wouldn't want to lose an $850,000 Chopard bracelet (below) like "Mad Men" star Christina Hendricks! Simmer down now. She found it. I was always taught not to borrow things and perhaps this is an excellent example of why. Fred Prouser/Reuters. Warner Bros./InStyle party at Beverly Hilton Hotel. It even costs to party. 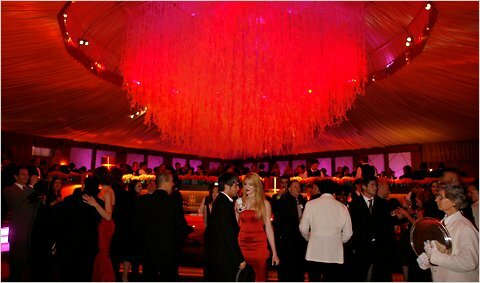 Many film houses host after parties like Sony who charged $1,990 for their fiesta last year. The Warner Brothers-InStyle after party ranked number one at $4,500 a ticket. Talk about VIP. For 21 years Moet & Chandon has been the official champagne of the Golden Globes. At last years' events $84,950 worth of their 2002 Grand Vintage was sipped on by the attendees. The Golden Globe statuette costs $800 to produce and does contain real gold. Dessert alone at the event cost $1,800. An aside here: It better be very decadent and sprinkled with the leftover statuette gold shavings. 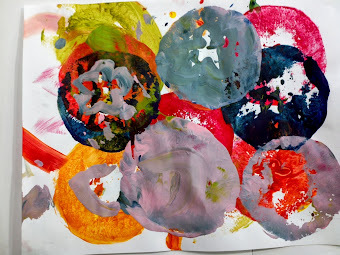 Revenues generated are mostly donated with the highlight being the Young Artists Awards. The Golden Globes have been cancelled once in 2008 due to the writer's strike. The Beverly Hilton Hotel has hosted the event for 39 consecutive years. It has been estimated that $78,000 is the entire cost to be Golden Globe ready but the exposure cannot be measured if you are a celebrity. Just google Golden Globes and see all of the press covering it. It has been almost two weeks since this years' events and with the Oscars and the Grammy's coming up we will get to see Hollywood Royalty in new duds and do's but presumably with the same big price tags attached. Thinking of attending next years' events? Think again. Tickets are not available to the public. The Beverly Hilton Hotel does offer "Golden Globe Packages" ranging from $2,800-$4,000/person. Now don't be silly-this does not get you hobnobbing with celebs. For a couple grand you get two bleacher seats with boxed lunches, gift bags and a spa or salon treatment. Just like being there, right? Keep telling yourself that. I will tune into E! especially since the events are broadcast in over 150 countries. Expensive celebrations translate very well.